Do you or anyone else you know take multiple medications? Does it ever get confusing? 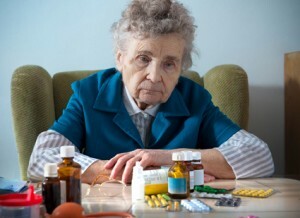 The misuse of taking prescription medications and even over-the-counter drugs is a prevalent danger amongst elderlies and the chronically ill, but something that could be avoided. With proper precaution and the right tools, these mistakes and potential injuries are preventable. Managing multiple medications is complicated. Each additional medication intake increases the risk of mistake. Each pill has its own set or precautions and instructions that may become quite difficult to keep track of. 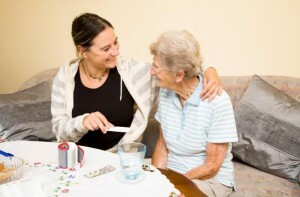 In following instructions to avoid side effects or negative interactions, your responsibilities as a user or caregiver can become quite strenuous. Follow these simple and helpful steps and save yourself the hassle and complications involved in the intake of your medications. Listen: Make sure you listen carefully when you doctor or pharmacists gives you instructions on your medication. By doing so, you can avoid adverse reactions, which are often the result of misusing prescription drugs. One can easily help reduce any associated side effects by taking medications as prescribed, be that with a meal, prior to or after eating, before sleeping etc. Question: Taking newly prescribed medications or understanding instructions can become overwhelming for users. If anything is unclear, make sure to STOP, CLARIFY then PROCEED. Make sure you do not leave the pharmacy or doctor’s office until you understand. Don’t leave the office unable to recollect what was instructed. Leave with certainty and confidence. Know how to manage your health! Get to know your pharmacist: Make sure they get to know you as well. After all, they will be the ones instructing and managing your medication intake. They can provide you with pertinent and vital information regarding the medications you take and keep an eye for any changes in your medication regimen. Organize: Setting up your weekly medication by day is a good way to ensure your medications get taken on time at the right dose. It is easy to forget whether or not you have taken your pills when you look at a full bottle or when you are an elder or chronically ill. Products like our automated pill dispenser (Maya) ensures medications get taken on time with real time monitoring (for caregivers, family members and doctors) and multiple types of re minders for the users. Make sure you or your loved one has some form of medication organizer to ensure their safety! Information: Having some form of a complete medication record is vital to your health. Keep a complete list of your medication regimen and update it as it changes. MedMinder provides a rich full report of patient’s dosage activities that can be accessed through our company website. Take this with you to every doctor’s visit, trip to the pharmacy and in an emergency situation. Having a complete record will help medical professionals better serve your health. Understanding exactly what medications you are taking will help medical professionals assess appropriate treatment or medication therapies and avoid adverse drug reactions. Notice Changes: The medications that you are taking may change along time or when a refill is made. At times, they may simply be a change in the same kind of pill but there may be chances that an error has occurred. Avoid harmful injury and hospitalization by keeping track of a prescription visual characteristics (i.e. color, imprint etc). It is also important for you to note this on your complete list of prescriptions. These simple steps can help ensure medications help rather than hinder your health. Avoid medication errors with these simple and helpful tips, and be on your way to better medication management and the optimization of your medications therapies. PreviousPrevious post:Sun Health And MedMinder Offer Electronic Pillbox Trial For $1NextNext post:Monitoring Elders – Is it Ethical?